11471 SW Scholls Ferry Rd. Welcome to Cooper Mountain Dental. Our office provides progressive family dental care, specializing in preventative dentistry, quality restorations and cosmetic dentistry. We look forward to serving the dental needs of your family. 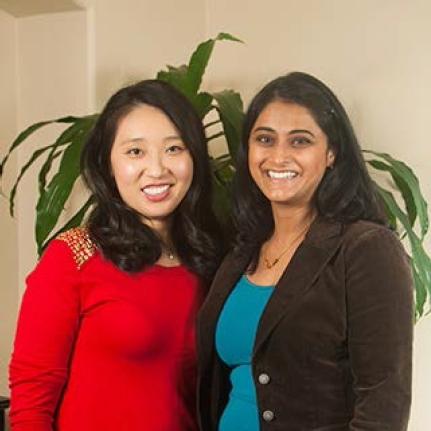 If you’re looking for a great place to smile, look no further than Cooper Mountain Dental the office of Dr. Karie Lee and Dr. Banu Ramkrishna. Our brand new, state-of-the-art facility and inviting team members will make you feel right at home. Our training in cosmetic dentistry and the latest advances in dental technology ensures that every restoration is carefully crafted. Best of all, Dr. Lee and Dr. Ramkrishna take the time to get to know each and every patient one-on-one, helping you make informed choices about your dental health. Both dentists received their doctorates at Oregon Health & Science University. It’s the best of both worlds old-fashioned relationships and today’s advanced dentistry. Now that really is something to smile about!